As the fall approaches, you will be faced with a few projects that cannot suffer any delays. This is true for projects that would allow for the replacement of certain important landscaping elements such as walkways and driveways, as well as tree removal and projects revolving around the repair or the complete removal of certain utility lines. 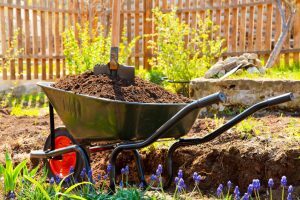 What all these projects have in common is that you will likely need to excavate around your home, in order to get them finished. That means you’ll have to hire a dependable and experienced contractor for the job, and you won’t be able to cut costs, since the work is very delicate, and will require remarkable precision to pull it off. Also, some of these projects will require excavation, you’ll have to keep in mind that it is necessary to call before you dig Denver utility line specialists to check out whether any power lines, phone lines, pipes or other utilities run through the area that will have to be excavated. Once these jobs are completed, you can rest assured that your home will look and feel better than ever, and that the curb appeal of your home will also improve, so you’ll have no difficulty whatsoever when it comes to selling your home for a real profit.